At Parkhill Infants’ School we are very proud of our children and of their high achievements in reading. 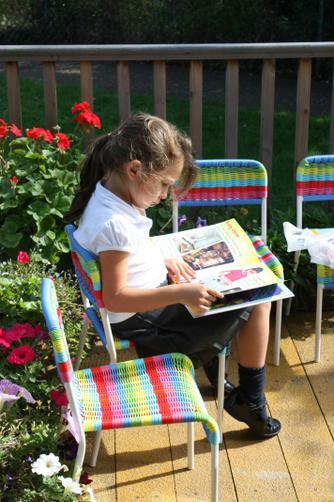 In school the children read regularly to their teachers, teaching assistants and parent helpers and we very much value the support that parents and carers give to their children by helping them to read at home. We aim to encourage and inspire all our children to develop a love and appreciation of literature as we believe that good reading habits instilled in them at an early age will stay with them throughout life. We ensure that the teaching of reading focuses on developing each child’s skill in word reading and comprehension. We want all children to read fluently and confidently. We use the Oxford reading Scheme as the main resource for teaching reading. This is supplemented by other carefully selected reading schemes and ‘real’ books (books that are not written specifically to teach reading). Phonics is taught daily according to letters and sounds, our own school scheme and Jolly Phonics. Using phonics helps children to decode words using the 44 sounds in the English language. As soon as children recognise sounds they can use them to blend words and read simple stories. We also teach children other strategies to support the development of their reading skills. These include thinking about the context of a word, using picture clues and recognition of whole words. Children also learn ‘tricky’ words. These words are not phonically decodable. How can you support your child with reading? Remember- Above all reading should be fun!